Last year marked the first time in China’s history when the urban population exceeded the rural population, according to the Chinese National Bureau of Statistics. In 1949, 10 percent of China’s population lived in cities. Today, it’s 51 percent. According to The New York Times, the statistics bureau reported 690.79 million urban dwellers compared to 656.56 million rural residents at the end of 2011. That’s a rise of 3 percent in urban population and a decrease of 2.2 percent in rural population in comparison to the previous year. This new urban population, The New York Times reminds us, is a ready labor force for the factories that power China’s export-based economy, and living in the city presents an opportunity for higher wages and a better quality of life. 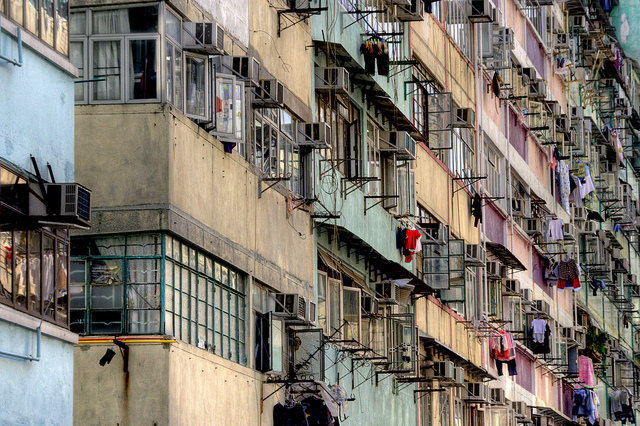 Urbanization is important to the Chinese economy because it raises living standards and encourages consumption. However, a rapidly rising urban population without development at an equal speed also risks fueling an urban underclass of migrants and jobless. If CNN’s photo special on concentrated living for the poor in China is an indication at all, then rapid urbanization might not be the economic boost China was hoping for. Current statistics aside, future urban growth in China is even more jaw-dropping. According to the Los Angeles Times, over the next 15 years, 320 million Chinese residents will leave small villages and rural counties and migrate to cities. “It’s the equivalent to everyone in the United States packing their belongings and changing addresses,” the article explains. Similar to western development patterns, Chinese cities are also built around a car culture. The government is working to make public transportation more attractive, but with sprawling developing car ownership will be inevitable. In fact, growth in car ownership in China has no end in sight. In 2008, there were 50 million car owners in China. This number grew to 63 million in 2009 and, according to predictions, 75 million by the end of 2010.